Islam Karimov is one of the two heads of the former Soviet states who had been ruling the country since independence in 1991. The other one is the president of Kazakhstan, Nursultan Nazarbayev (age 76). After Karimov’s death, a country where power was centralized in one man, risks falling into destabilization. Uzbekistan has long been under close attention by the US. Many experts agree that the country has been on the color revolution list of the State Department for many years. The most dramatic deterioration in relations with the "Western partners" took place in 2005, after the so-called Andijan events. Then, during the trial of local businessmen who were accused of involvement in a banned radical Islamic sect, the city of Andijan, started a protest which developed into a riot with a hostage situation. The suppression of the riot by government troops killed about 187 people. In the trial after the riots it was alleged that the protesters called for a jihad, the overthrow of the government and the establishment of an Islamic caliphate. All these considerations were not taken into account in the West. Islam Karimov was proclaimed a bloody dictator, sanctions were imposed against the country. A response was that NATO bases were removed from the territory of Uzbekistan. 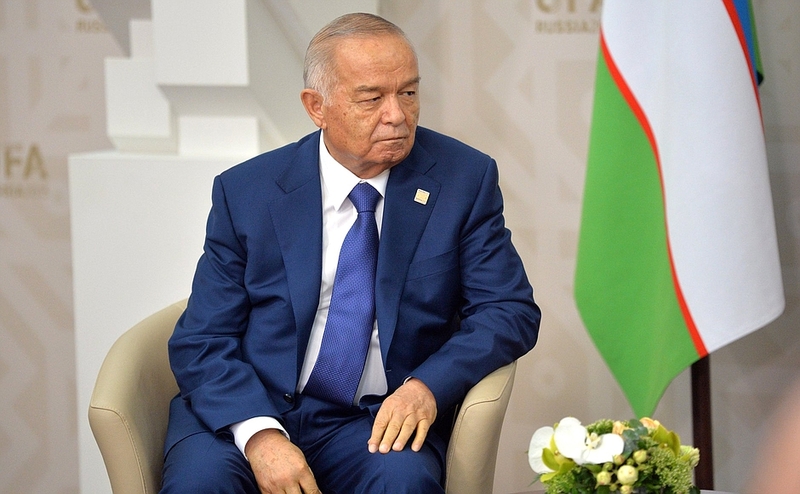 It was after the Andijan events that Karimov began rapprochement with Russia, as he previously always tried to keep a distance, and looked towards the revitalization in the Shanghai Cooperation Organization (SCO). However, the US did not lose hope that they may recover their assets in Uzbekistan, at the same time they have a clear understanding that it is impossible while Karimov is in power. Thus, the elimination of Karimov or his successor is highly advantageous for the US. The main weak point of Uzbekistan is the state structure, firmly controlled by one person for 25 years. The elections, held in Uzbekistan, traditionally showed a level of support for the national leader at about 86-90 per cent. In fact, the entire system of control was held exclusively by Islam Karimov, who was able to build the necessary balance of domestic elites and foreign ties. However, under the cover of the external control, a monstrous network of Islamic extremism was brewing for a long time. Uzbekistan is considered one of the channels of the underground drug trafficking from Afghanistan to Europe and Asia. At the same time, the Taliban have found fertile ground to expand their training bases and influence networks. Unfortunately, under Karimov, the population suffered from outright poverty. Lack of jobs, gas, and even electricity in the most populated areas contributed to the growth of discontent and radicalization among the population. There are al-Qaeda and Taliban cells, Islamic Movement of Uzbekistan and Hizb ut-Tahrir, as well as many smaller radical Islamic groups that actively recruit new supporters. The death of Karimov opens the gates for ISIS to start working in Uzbekistan . The country will become a hotbed of instability and one of the reference points of the Islamic state, if the elites fail to agree on a strong successor. Islam Karimov did not name his successor. He cannot be replaced by a son, because the Uzbek leader had only two daughters, one of whom is accused of corruption and abuse of power. 44-year-old Gulnara Karimova, the eldest daughter of the president, has several hundred million dollars, she took various government posts, and it is possible that she could run for the presidency. However, experts doubt that. The fashionable woman is unlikely to unite elite clans, to prevent strife and rebuff radical Islamists. Among the real contenders for the post of the head of Uzbekistan is the 'actual' Prime Minister (as he is called), Shavkat Mirziyoyev. Being Karimov's representative, he proved himself as an effective manager, who actually controls all state power structures. The head of National Security Service, Rustam Inoyatov, is the second possible successor, but the 72-year-old politician was not very strong, although he has some influence. Deputy Prime Minister Rustam Azimov may also join the fight for the top post. This politician is considered as pro-Western oriented. However, in any case, next three months, the head of Parliament Nigmatilu Yuldashev will be in power according to the Constitution. It is possible that the politician will try to usurp the presidency. However, the situation can develop rapidly, as in Turkmenistan, where according to the Constitution, after the death of Saparmurat Niyazov, chairman of the Majlis had to lead the country, but a criminal case against him was initiated; Gurbanguly Berdimuhamedov became the interim President. How events will develop in Uzbekistan, will be seen in the near future. Follow our reporting to stay plugged into these events as they unfold.